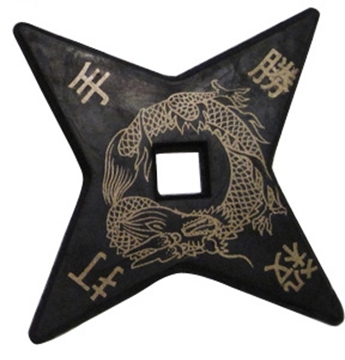 A great way to practice throwing shuriken. Made of a soft foam rubber with gold designs. 8 point star with 4 inch diameter. 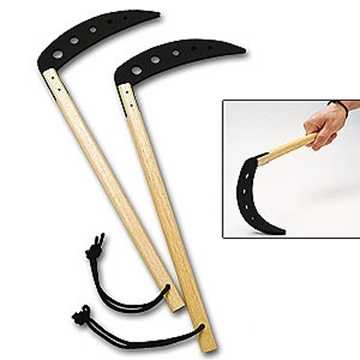 A perfect star for beginners or cosplay enthusiasts alike! 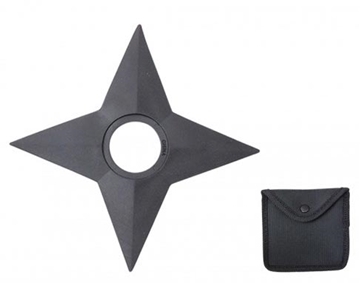 Made from soft foam rubber this star comes complete with carrying pouch. 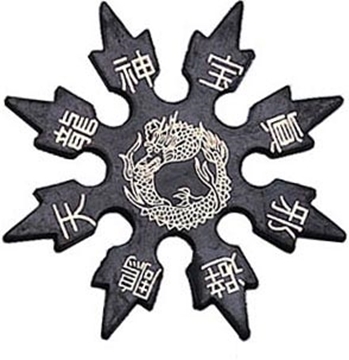 Four point star with five inch diameter. A great way to practice with stars. 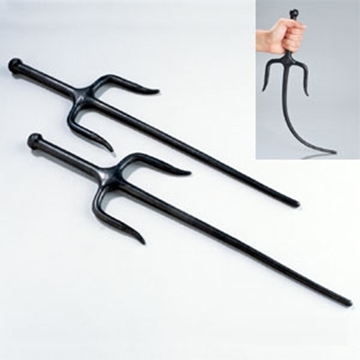 Made of a soft foam rubber with gold designs. 4 point star with 4 inch diameter. 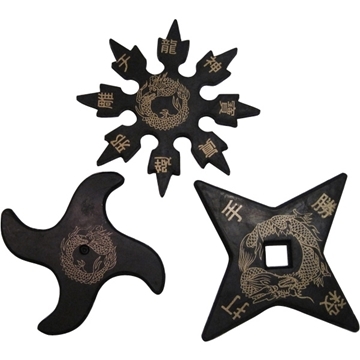 Three unique shuriken designs. All of the fun with none of the danger!